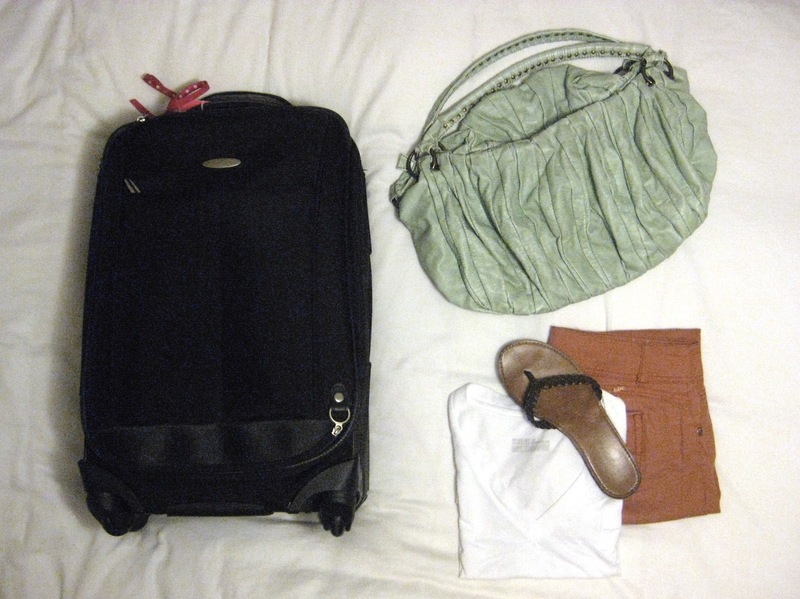 I've always appreciated and enjoyed packing light for trips. In travel, there's plenty of chaos and potential obstacles that are out of your control and I find that keeping the things I can control as simple as possible gives me less anxiety and keeps me calm. As a result, I enjoy the trip more. Most recently I traveled to Phoenix, AZ and here are the things I took with me. On the plane I wore a simple outfit of cropped colored pants and a white tee. Flip-flops and no belt helped to ensure a speedy trip through airport security. I brought 5 pairs of shoes, which seems like a lot, but I actually wore every single one of them. Shoes do an incredible job of changing up the entire look of an outfit. If you're looking to create some versatile outfits on your next trip, I recommend skimping on the clothes you pack and leaving more room in your suitcase for shoes. 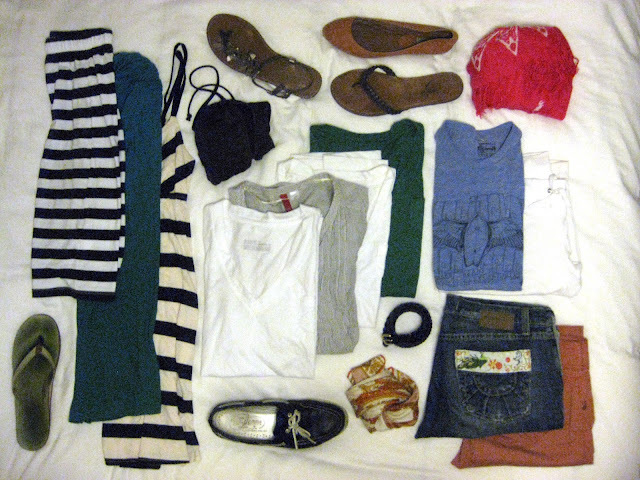 Another great tip for packing light: bring at least one or two scarves. They take up barely any room in your suitcase and can be worn a variety of ways. Win-Win. Lastly, bring items you can mix and match. I like to have a couple colorful statement pieces and keep everything else neutral. Stay tuned next week to see what I brought in my carry-on purse. I love to travel and I miss to make the bags to go somewhere! I do try to travel light by taking neutrals and mix and match outfits but never seem to quite manage it - I always pack too many shoes!! I also find scarves useful too. I am a HORRIBLE packer. I always overpack like crazy! Love seeing how other people pack! I'm loving that striped dress!